Court records show that since January 2018, four Anil Ambani-owned companies have filed 28 defamation suits in Ahmedabad courts. Eight cases are against politicians from Opposition parties, while 20 cases are against media organisations and journalists. Reliance Group’s executive senior vice president for corporate communications and public affairs acknowledged Scroll.in’s email but did not respond to the queries. 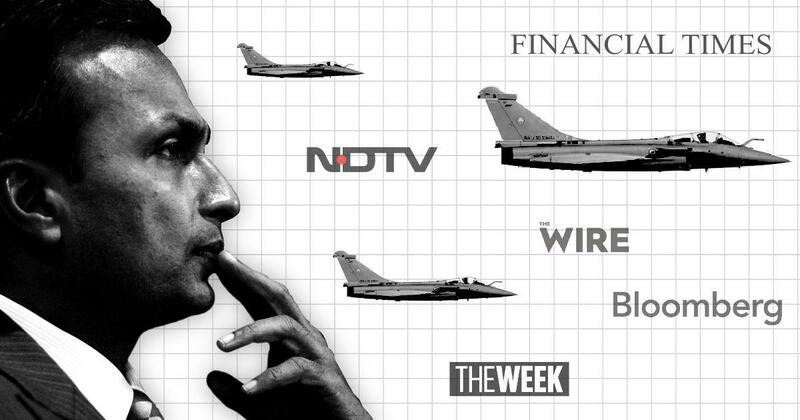 The four group companies that have filed cases in Ahmedabad are Reliance Communications, Reliance Infrastructure, Reliance Aerostructure and Reliance Naval and Engineering, which was formerly Reliance Defence. Twenty six cases are civil suits in the Ahmedabad City and Civil Sessions Court, claiming damages under the Code of Civil Procedure, 1908. As an earlier Scroll.in report explained, Ahmedabad is a preferred destination for filing defamation suits because Gujarat laws cap court fees at Rs 75,000, no matter how high the value of the suit. Two cases are criminal defamation suits in the Metropolitan Magistrate Court. One is against “Ajay Shukla”, presumably the journalist Ajai Shukla, under Section 500 of the Indian Penal Code which prescribes punishment upto two years of imprisonment. The other is against “Mangalam Keshavn Venu”, presumably Mangalam Kesavan Venu, the founding editor of The Wire. The names of both the journalists also feature in civil suits against The Wire and have been correctly spelt there. Scroll.in has learnt the case relates to an article published days before, on January 11, in the Nikkei Asian Review. Crabtree wrote about the telecom assets deal between the two Ambani brothers, saying it “had ended one of Asia’s longest corporate quarrels, handing Mukesh Ambani a satisfying family victory and humiliating his brother in the process”. 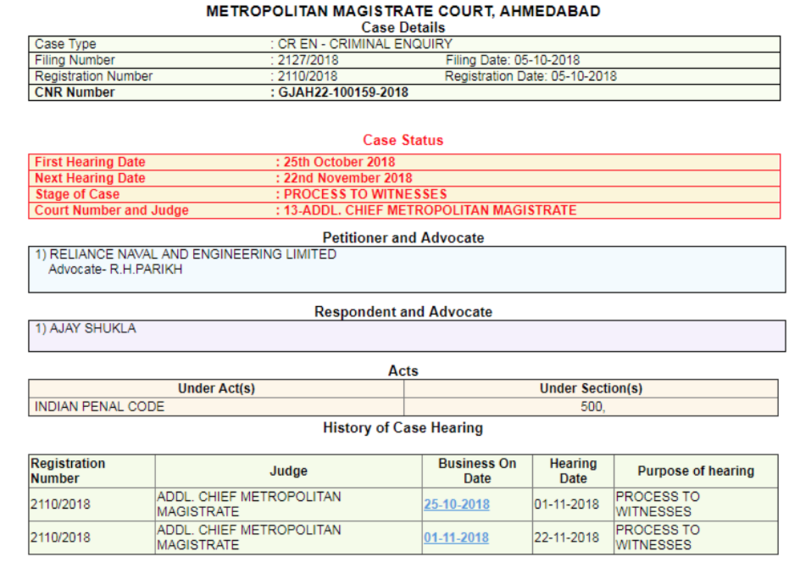 On October 5, Reliance Naval and Engineering filed a criminal application in the Metropolitan Magistrate Court in Ahmedabad against “Ajay Shukla”, presumably a misspelling of the name of the Business Standard columnist Ajai Shukla. It was filed under Section 500 of the Indian Penal Code. This article has been updated to incorporate comment from James Crabtree. 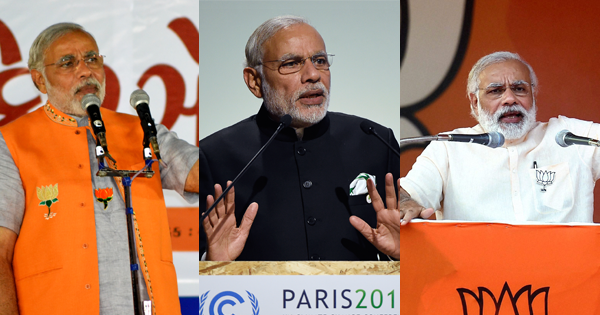 With a speech every 45.6 hours, has Modi exhausted his talk-time?